This is an ad campaign for "It's On Us". It's On Us is a public service announcement with the goal to end sexual assault and gender based violence. These ads use close up photos of people of various races and gender to play off of the viewers empathy and show that this issue effects everyone. 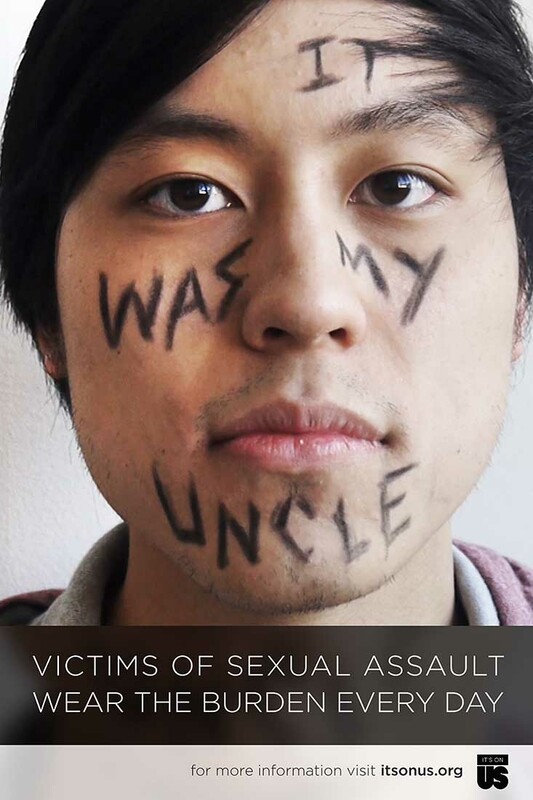 The writing on the faces are literal interpretations of the burden that victims of sexual assault wear everyday.